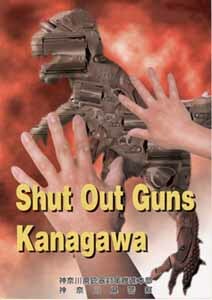 As we see a recent rash of crimes committed by using handguns in Japan, information you provide us on handguns will be of great help for our law enforcement activity and for yourself not to become a victim of the crimes. Unlike some other countries, possessing handguns is basically against the law in Japan, resulting in a severe punishment. a mitigated punishment or an immunity if you turn in your handguns or bullets to the police. a severe punishment if you are found possessing concealed handguns or bullets without turning them in. In the past, some people unknowingly brought their own handguns into Japan from their home countries which were casually put inside their luggage or mixed with their household stuff when shipped to Japan. But if you turn in such handguns to the police, you will be to surrender yourself to justice and be subject to a mitigated punishment or an immunity. "Handguns involved ?" or "Smuggling ?" Even small information is appreciated.